History is reexamining the assassination of John F. Kennedy. Recently, the network announced their new series JFK Declassified: Tracking Oswald will premiere next week. JFK Declassified: Tracking Oswald debuts on April 25th at 10 p.m. ET/PT. NEW YORK, NY – April 17, 2017 – More than two million declassified government files offer new evidence about Lee Harvey Oswald’s activities in the weeks, months and years before the assassination of President John F. Kennedy with the last remaining documents scheduled for release later this year. 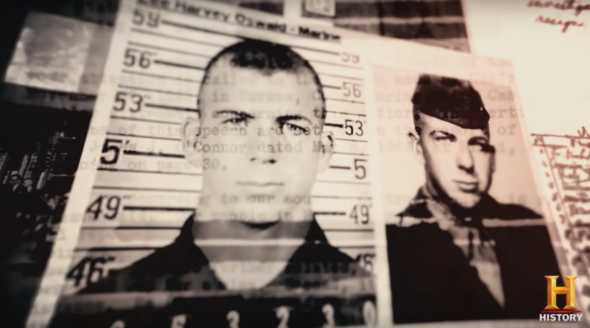 HISTORY’s new six-part nonfiction series “JFK Declassified: Tracking Oswald” follows former CIA agent, Bob Baer and former LAPD police lieutenant, Adam Bercovici, on their independent global investigation into Oswald, and the murder of JFK, asking the questions: did he have accomplices, and if so, who helped him assassinate the President? “JFK Declassified: Tracking Oswald” premieres Tuesday, April 25 at 10PM ET/PT and concludes on Tuesday, May 30 at 10PM ET/PT, the week of what would have been JFK’s 100th birthday. Working alongside elite investigative experts and utilizing state-of-the-art analysis algorithms to examine these top secret files, Baer and his team travel to Moscow, Mexico City, New Orleans, Miami and Dallas to track down every lead and retrace Oswald’s steps with the goal of separating conspiracy theory from the truth. While on the ground in Mexico, the team discovers new clues that suggest a deeper connection between Oswald and the Soviet KGB. Declassified documents reveal that Oswald met with the Cold War enemies of the United States, both Russia and Cuba, only eight weeks before JFK’s assassination. Following evidence from these declassified files, Baer’s investigation tracks down a former KGB agent and other eyewitnesses who, for the first time on camera, speak about personally meeting with Oswald only weeks before he changed the course of American history. Among the most compelling evidence are police documents that connect Oswald to a suspected “safe house” in Dallas where he could have hidden after the assassination. Will Baer and his team be able to prove their groundbreaking theory and finally establish what drove Lee Harvey Oswald to kill President John F. Kennedy? “JFK Declassified: Tracking Oswald” is produced for HISTORY by Karga Seven Pictures. Sarah Wetherbee, Kelly McPherson, Emre Sahin, Tracy Bacal and Brian Skope are executive producers for Karga Seven Pictures. Jennifer Wagman and Stephen Mintz are executive producers for HISTORY. What do you think? Do you watch History? Will you check out JFK Declassified: Tracking Oswald? More about: History TV shows: canceled or renewed?, JFK Declassified: Tracking Oswald, JFK Declassified: Tracking Oswald: canceled or renewed? Richard Case Nagell….. supposedly hired to kill Oswald. What about him? What about the finding of Malcolm Wallace’s fingerprint on a box in “Oswald’s sniper nest.” Wallace was a known killer that Lyndon John used repeatedly….. so much so that a Texas grand jury saw fit to at least indict Wallace and name LBJ as a co-conspirator in a murder. Johnson and Hoover were Washington neighbors and had frequent contacts. There were oil monies supposedly involved, and Johnson said so to his mistress. why has nothing ever been said about Judyth Vary Baker, Dr. Mary Sherman and the bio weapon LHO was involed in? Read Lee and Me very interesting. It’s 9/16/17 and all 6 episodes are airing on History right now. This is classic CIA disinformation. We are CIA “officers”, not “agents”. You do not believe in conspiracy theories. You create them! Just like Hitler!